What should we do when traveling with cat ? How many cats do you know that love to ride in a car? The fact is, cats aren’t dogs, and most cats are unlikely to ever enjoy a car ride the way some of their canine counterparts do. 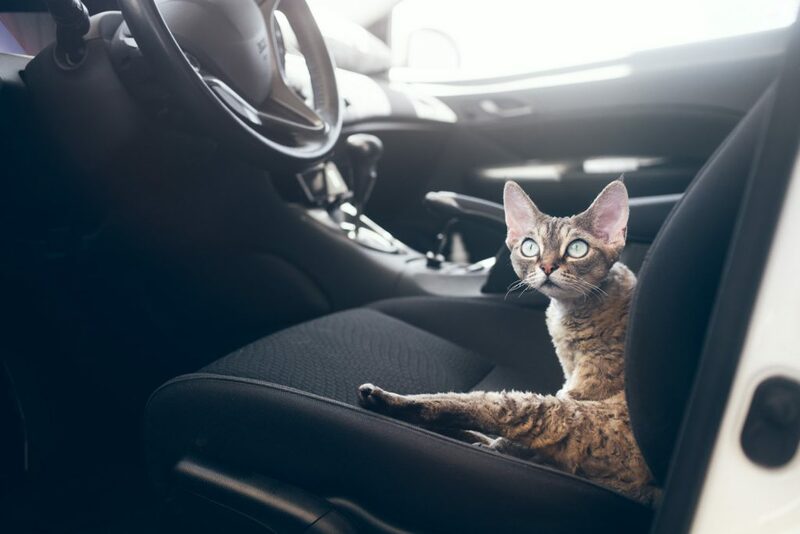 The goal of my blog isn’t to convert your cat into an easy rider, but since cats have to ride in cars sometimes, my goal is to describe a few simple actions you can take to make the car ride less stressful for you and your cat. Keep all traveling cats in a carrier. This is for your own safety as well as your cat’s safety. It is not safe to have your cat roaming freely in your vehicle while you are driving. Your cat could become frightened and dart under the brake pedal or accelerator, possibly causing an accident. In addition, having a cat jumping around the vehicle is a dangerous distraction. To be safe, always keep your cat in a secure carrier. Traveling this great country is a continued passion for most people, and traveling with your dog just takes the experience to whole new heights. I have recently had been setting out on the road with my Boxer/Lab mix Zoey, and I wanted to share with you the preparation needed to make the trip fun for everyone, two-legged and four! 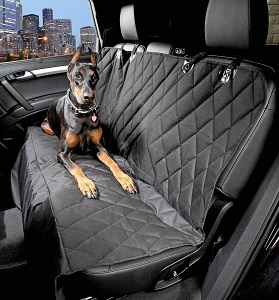 A bench seat cover is a great usefull stuff to keep your pets hair away from your bench seat, what is more, this will help to keep your Seat Vinyl away from Paw Scratchs. A Waterproof and easy installationdog seat cover is baddly needed for long time road to avoid unexpect accident. No more accidental fall from back to front, no more scratching the center console, keeps your dogs safe and fun on the road now! 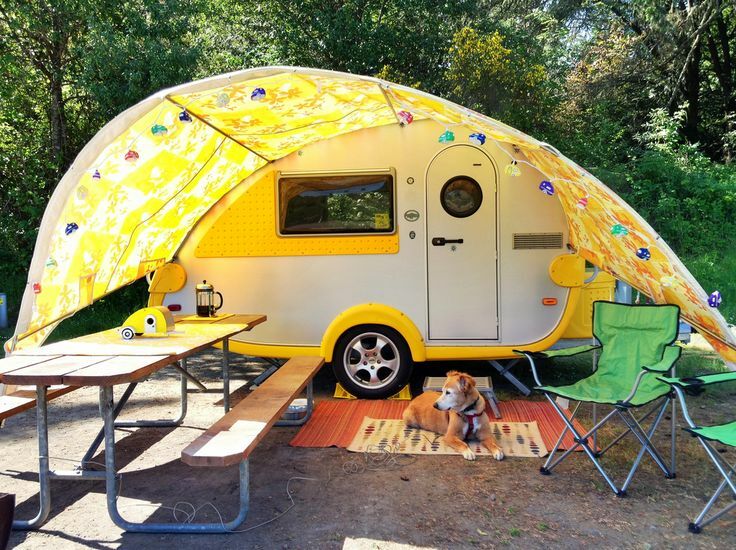 To enjoy the great happiness with your best friedns, bring this stuff your puppy will more happy to go with you to explore the outdoor camping life. What’s The Safest Way For Your Dog To Travel In The Car? It might look cute when dogs hang their head out of a car window, but it’s actually really dangerous. Dogs may love the wind in their face, but they might be at risk for serious accidents with their heads hanging out of the car. But What’s The Safest Way For Your Dog To Travel In The Car? According to Pet Health Network, you should always keep your dog in the backseat of the car — this protects both the dog and the passenger. If a dog is in the front seat, it can be a distraction to the driver, which can lead to accidents. So, what’s the best way to travel with your dog? To keep your dog safe, restrain them in the car. There are lots of restraint mechanisms like dog seat belts and restraint harnesses that can keep your dog confined to the back seat. 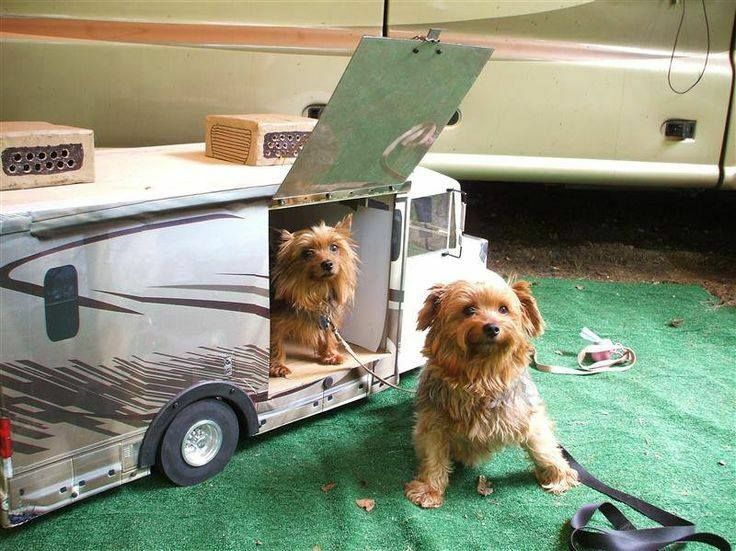 These options will keep your beloved pup safe and sound, wherever the two of you go together!